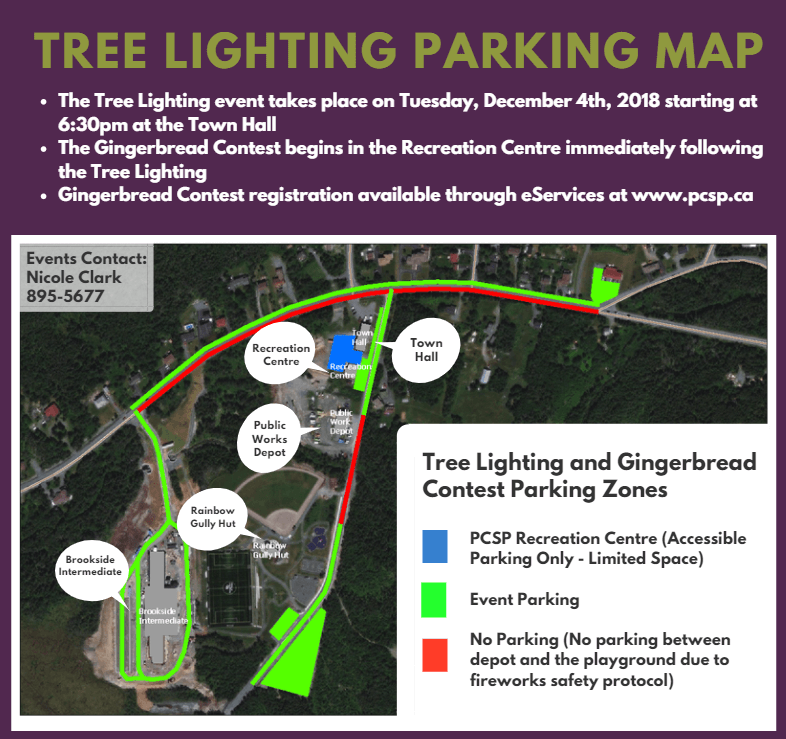 Get Ready for PCSP’s Most Interactive Tree Lighting Yet! For the last three years, as most of us were putting the final touches on our Halloween costumes, Volunteer Fire Department Deputy Fire Chief Ed Sharpe was beginning to map out the annual Portugal Cove-St. Philip’s Tree Lighting Ceremony. The 2018 event takes place tonight: Tuesday, December 4th, beginning at 6:30pm. The show has to be ready to go up to six weeks before the Tree Lighting to ensure the materials can be shipped on time. 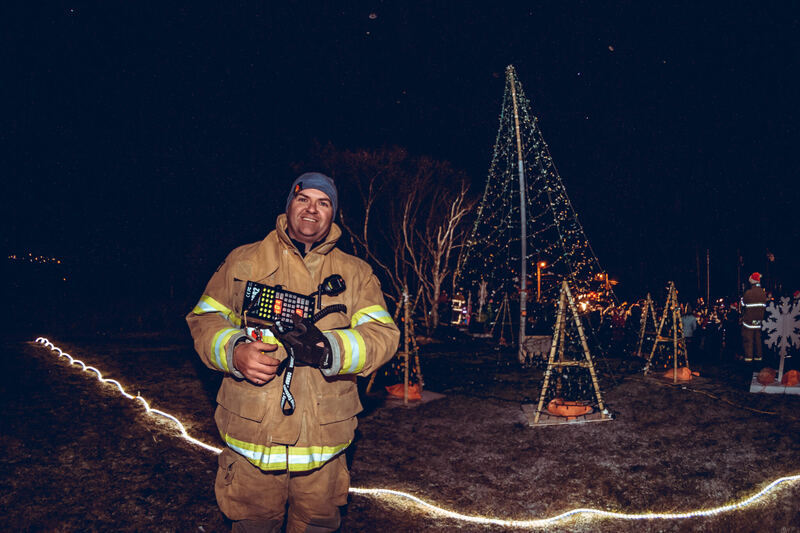 Sharpe’s interest in upgrading the Town’s Tree Lighting Ceremony was piqued a few years ago while seeing the animated light show at a recreation conference. He had been helping with the Town’s fireworks displays in the past, and saw an opportunity to create a unique show to kick off the holiday season. “I was out wandering around and started talking to the guys who were doing it to get the idea, and it grew from there,” he said. Sharpe says he’s always thinking Christmas, but also finds inspiration from things he saw at Disney World, holiday light competition TV shows, and from whatever is popular that year. His family is sworn to secrecy, and while they might be tired of the soundtrack by the time the event rolls around, it’s always exciting to watch the audience take it all in and they love getting feedback from their friends afterward. His background as an electrical engineer means the programming of the show is second nature, and he also holds a commercial display supervisor license, which allows him to use better-quality fireworks — a process that took a number of years and included an apprenticeship. The show is programmed on a computer, loaded on a memory stick which is loaded into the control system, and then he runs it without anything connected to make sure the outputs and igniters are all in working order. Sharpe says the event has grown tenfold over the last three years, and it now takes a great team to pull it all off. In addition to all the preliminary planning, they spend seven to eight hours setting up on the day of the event. Other members of the Portugal Cove-St. Philip’s Volunteer Fire Department with fireworks licenses help out, the Town’s Public Works staff sets up the tree and builds the ornaments, a volunteer records the voices, and the Town’s recreation staff coordinates the school choirs and other logistical details.